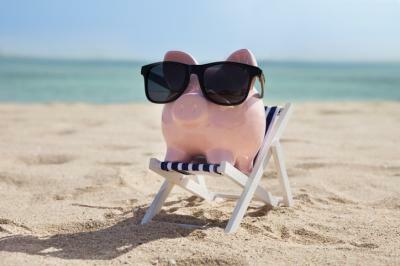 Research finds about 91% of full time equivalent employees get paid vacation. That is great because everyone needs to wind down and relax now and again. That said, a survey by Glassdoor finds the average worker only takes about 54% of the vacation days they are offered each year. Reasons for this vary, but include a fear of getting too far behind on work (34%), believing no one else at the company can do the work while they are gone (30%), being completely dedicated to the company (22%) and feeling they can never be disconnected (21%). Vacation time and work time certainly need balance and it looks like everyone is dealing with this issue. Another thing that bankers (and all companies actually) are dealing with and trying to balance is a gut-wrenching proposal from the Financial Accounting Standards Board (FASB) known as the Current Expected Credit Loss model (CECL). It seems everywhere we turn these days, we hear about CECL as bankers try to sort out fact from fiction here. So to help you, today we provide the simple facts and some suggestions. CECL goes into effect for public companies (SEC registrants) in 2020 and for non-public companies in 2021. Early adoption is available beginning in 2019. While you still have plenty of time to deal with CECL, there are things to consider along the way. Common questions here seem to revolve around whether bankers have all the information they need, knowing which information is most important for each loan sector in the portfolio and many others. First of all - it is ok to take vacation this year because you still have plenty of time, so choose a nice warm beach and soak your toes in the water. Next, no matter your current allowance for loan and lease losses (ALLL) process, you will be making adjustments and tweaking it based on the CECL requirements. Third, as there are no established target levels to benchmark against, you will need to understand the underlying risk and repayment characteristics of your portfolio. You will also need to know related model assumptions inside and out. A key reason for all of this is that the major change with CECL is that instead of making usual allowances based on when losses will be incurred, CECL asks banks to estimate the implied losses expected over the life of a loan. That takes a bit more work and it can be tricky, but it is also not too difficult to handle. One example of where things have shifted under CECL is around prepayments. Think about tying in prepayment optionality that changes (sometimes drastically), as market rates change. Again, this can certainly be done, but you need to think about it. Next, you will need to look into the types of loans in the portfolio. Some loans may be straightforward and can be handled in homogeneous classifications, while others, such as CRE loans, may be more complex and require more modeling. One simple way to determine if a loan is complex is to ask yourself a simple question - do you refer to the credit as a 'loan' or a 'deal'? If it is commonly thought of as loan, then it's likely homogeneous. If it is referred to as a deal, then it's likely complex. Of course, you should involve your examiners and accountants in all of this too as they have been studying the rule, so they will surely be helpful in ensuring you leave no stone unturned. Given all of the considerations, the amount of data you need to collect for your CECL loan loss calculations will most likely increase. Under CECL life of loan, you will need loss information stretching over the "life" of the credits in question. That means more historical data, a longer look-back and other factors. Although the amount of data needed for CECL may feel a bit overwhelming at times, one thing to remember is that you are allowed to use different approaches for different asset groups. Community banks are starting to show progress in the implementation of CECL in their annual filings, according to SNL. Some mentioned they have formed cross-functional teams, while others say they are focusing on engaging with third-party software companies to ensure their loan loss software is up to snuff for the more extensive calculations needed. Wherever you are in your process, you still have plenty of time so there is no need to worry. As you prepare for CECL, we welcome those interested to attend our two upcoming road tours in San Francisco and Chicago. Both are designed to help bankers with a greater understanding of the rule, its key components and things to consider when calculating your loan loss reserves. For more information, visit our events page. Yields rolled down 8bp despite the anticipated rate hike as weak economic data was reported in retail, oil & the CPI. Bloomberg reports the top 50 S&P 500 companies hold a combined $925B in cash and marketable securities outside the US vs. $807B about 1Y ago (a 15% YOY increase). Meanwhile, the top 5 companies (Apple, Microsoft, Cisco, Alphabet and Oracle) hold a combined 58% of the total (Apple and Microsoft hold a combined 39% of the total alone). Bloomberg reports there is currently a 98% chance of a Fed rate hike this week. Citadel Information Group reports cybercriminals have begun using a new technique to deliver malware in PowerPoint that only requires victims to place their cursor over a malicious hyperlink for the malware to be injected.